The trailer for Jim Marbrook's documentary Cap Bocage. 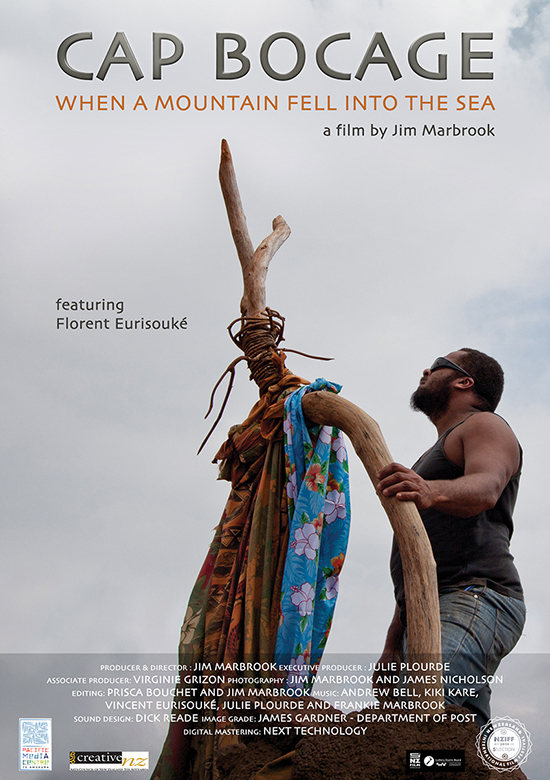 The Pacific Media Centre awarded a ‘journalist-in-residence’ research grant to independent film maker Jim Marbrook to help se develop a documentary about indigenous Kanak political and industrial rights and nickel mining development in New Caledonia. Marbrook, who is also a television lecturer in AUT University’s School of Communication Studies, produced an eight-minute pilot video, Towards Grand Terre, as a first step in the project and is working to a full documentary feature out of this project. Marbrook’s documentaries and short films have won prizes and appeared at festivals all over the world. His short film Jumbo was recognised at the 1999 NZ Film Awards and has screened at festivals and on television here and overseas. His television work has included contributions to Greenstone’sMercury Lane and Sons for the Road, a documentary that played on TVNZ’s Artsville in 2006. The feature length documentary Dark Horse won Best Feature Documentary at the inaugural DOCNZ International documentary festival in 2005. Another feature length documentary Ko Whanganui te Awa screened on Maori Television in 2006. In 2004 he was recipient of the Rosalynn Carter Mental Health Journalism fellowship and through this fellowship completed the documentary Awa Hikoi which screened on TVNZ in 2005. He will do a presentation around his documentary Cap Bocage, which is due for release in early 2011, at the Spark International Festival of Media, Arts and Design in Hamilton on August 9-13, 2010. An AUT University television ledcturer and a filmmaker whose documentaries and short films have won international prizes.